The question "Are there shops?" is not uncommon. Because Te Anau is in the middle of wilderness, it is natural to think we don't have shops or even supermarkets. However, this couldn't be further from the truth. We have two supermarkets and lots of shops! We have everything you need to buy right here, from wine to head torches. 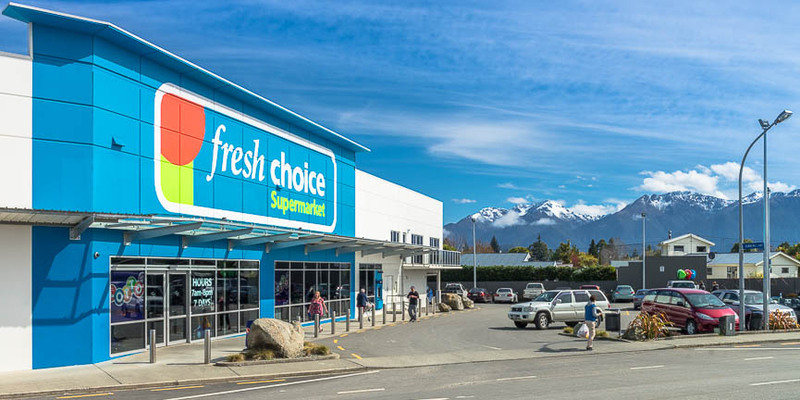 Our supermarkets and shops are all located on the main street of Te Anau (known as "town centre"), which runs at right angles to the lake front. Everything is in walking distance. Manapouri, a much smaller community, has a thriving village shop providing all your basic provisions. To access your spending money, there are several banks and ATM machines in Te Anau. ANZ has an ATM machine outside the Fresh Choice supermarket, and there are two more ATM machines outside Westpac and BNZ banks, which are near the lake-front end of the main street. There is also a Kiwibank located inside the stationery store Paper Plus. This is also where you can find our post office. 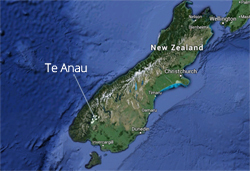 Te Anau has two supermarkets (Fresh Choice and 4Square), local butcher and a liquor shop. They are reasonably priced too; competitive with supermarkets in Queenstown and other big towns. We also have a large pharmacy, several garages, hairdressers, beauticians, clothes shops, hardware stores shops, and a garden nursery just out of town on the right of the Manapouri highway. Manapouri has a village shop (Manapouri Stores), a hairdressers, and a garden nursery specialising in native plants on Hillside Road. We are the wilderness capital of New Zealand, so it's important to mention our outdoor supplies shops. If you are a hunter, angler or tramper then you can get all your necessary clothing, equipment and general supplies at Fiordland Frontier Supplies in Te Anau; from guns to camping stoves to all your outdoor clothing needs. This incredibly friendly shop run by owner and local Russell Wisely is not only a shop, it's also the natural meeting place for everyone involved in hunting, fishing and tramping in Fiordland. Go in for a new rod, and you might come out with a rod and a new fishing friend. It is also in the same building as the Wapiti Bakery and Cafe, and Inspire, a gifts and clothing shop run by Robyn, Russell's wife. The other main outdoor supplies shop in Te Anau is Outdoor Sports, which you can also find in Queenstown, and stocks your normal range of outdoor gear for sports activities, from golf to mountain running. It has a good selection of Icebreaker Merino wool clothing and often has great sales. Outdoor Sports also runs a rental business, renting tramping gear including boots, as does Bev's Tramping Gear, which is run from Bev's home on Homer Street, a short walk from the town centre. There are many gift shops in Te Anau selling standard Kiwi tourist gifts, such as T towels and T shirts. So if you want to buy oven gloves sporting the words "I love New Zealand" you most certainly can. Te Anau gift shops also have a nationwide reputation for being particularly reasonably priced. There are also some interesting shops tucked away, such as Silken Spindles, a wool and yarn shop selling delightful home-made woollen clothing, including baby clothes. There is a greenstone jewellery shop. In Manapouri, there is a boutique gift and clothes shop on the lake front. You can also buy locally produced crafts, such as pottery and patchwork quilts, direct from craft-makers' homes. Simply look for the signs outside people's houses in Te Anau, such as Jane Popham's pottery on McKerrow Street, or The Pansy Patch at 68 Mokonui Street (open 12.30 to 4pm Monday, Wednesday and Friday). Some of the open farms in the region also sell local produce directly to the public, such as Honeyfields, which sells alpaca yarns and honey. Alternatively, come along to our community market. Fiordland House is located behind the big takahe on the shores of Lake Te Anau and specializes in top quality NZ Made clothing along with other products that suit both locals and holiday makers alike. We also have an online store promoting NZ Made products and conservation. We specialize in natural fibre products including possum, merino, silk, alpaca and organic cotton. Fiordland House has been locally owned and operated on the same site for over 30 years, providing the same top quality NZ Made products. We pride ourselves on the quality and range of kiwi inspired leisure apparel and products we stock along with great customer service.